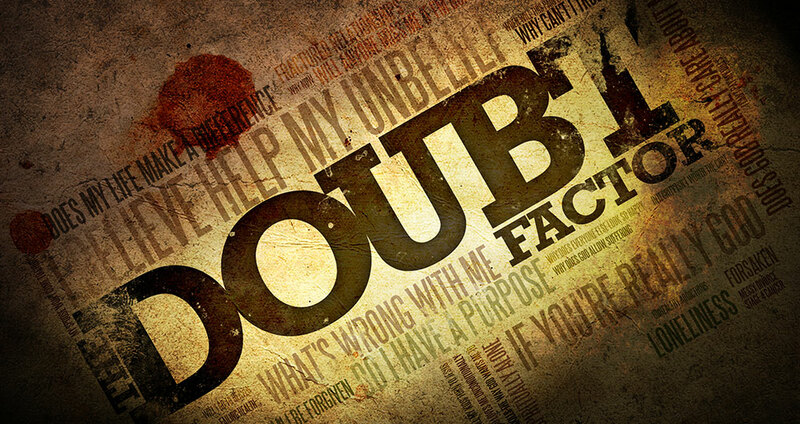 Lent Day 19 – How many “doubt” god? I am going to try and tackle this without sounding proud. Please whoever reads this be convinced that my faith was given by grace. Something given by grace means it was given to someone who did and does nothing to deserve it. So taken in that context nobody has any room for pride. I think the world has degree’s of doubt in God, ranging from the atheist through to the Christian. The atheist denies his existence, agnostics may have some shape or shapes of many gods, and then the Christian not only that god exists, but that god gave us Christ as an intermediary and he is the only way we can come to the father. For me when I have spoken to people and I find atheists easiest to speak to. There is no grey and everybody knows the starting point. Agnostics, or those that think Christ is a teacher also are quite easy to talk too. But its the doubting christian I find hardest to relate too. When I came to Jesus he washed all my doubt away. But you see and meet so many who instead of working from a point of acceptance try to understand his message from a point of doubt. In my early days when I asked obvious questions about the bible I was told “trust the author” so many struggle to do so? This simply cannot work. Not long term, as where “faith” should fill the void, the “world” does. Nothing in the world has any answers, nothing in the world fills the void. Some ignore it (atheists), Some say some scientist will fill it, some use many gods or pseudo gods to build a patchwork quilt. But the christian doubter has the hardest job, because they get given so many glimpses of the truth, but they have to tie it into there semi worldly, semi christian multi threaded view, that will forever be full of loose ends and contradictions, never settled, never finished. Now some might say that this is how we should be, always searching. I would agree, but when your starting point has so many starting points, from so many silo solutions you can never really move forward. In fact I don’t think you can hit the starting line. My Christianity is as multi threaded, as far from any finish as any can be. However when the starting point is that he exists, I am where I am through grace, and anything I found out has been revealed, that only the meek can hope to come to him that allows true progress moving towards becoming a christian. In a sales cycle it is explained to us that at any stage you can when deciding to move through the buying process “skip” a step. However at some point, maybe much much later any step missed will be harder and longer and will have to be taken. Out journey through faith is like that, unless you fully accept him, his father and the teachings of the bible (which by the way is not the same as some “literal” view) as correct, then however far you may come, you will have to cycle back and resolve those issues or walk away. Until the day that you accept all of his basic message, and more importantly his ultimate wisdom, involvement, truth and inerrant truth then one day you will be faced with a decision. Nobody comes to the father except through me. He may have many rooms, he may have prepared them for you, but until you accept him as the landlord, and obey his rules, then you don’t get the keys. In fact you can’t even find the house. My feeling and prayer for all those Christians with unresolved basic issues with god, Christ, resurrection, allowing evil, etc. The hurdles we all have to face, is to face them. Ask him to help you face them. No matter how many messages he shows you that you will have to overcome, no matter how many ideas you may grasp, each doubt twists the prism through which you understand the truths you have to encounter. Go back to basics, go face the thing you doubt, ask him to come into your life and show you how to overcome your doubt so that you can become closer. Do that whenever the voice of the world makes you doubt, and he will gather his flock and bring you back. So to answer the question I posed. Many more than we think. ← Lent Day 16 The more you think you are getting it right, the more wrong you are.